Neo-liberal Strategies of Governing India and its companion volume Ideas and Frameworks of Governing India tell the story of governance in independent India and address the critical question: how is a post-colonial democracy governed? Further, they attempt to understand why the process of governing a post-colonial democracy, particularly in the neo-liberal age, should be studied as the central question within the history of post-colonial democracy. The volumes offer hitherto unexplored analyses of governance — political and ideological aspects along with technological characteristics — in a historical framework. In breaking new ground in the study of what constitutes the political subject, these volumes will be indispensable to scholars, researchers and students of politics, public administration, development studies, South Asian studies and modern India. "The book brilliantly traces the change and continuity in the evolution of governmental reason substantiating with appropriate case studies wherever needed…the author succeeds well in going beyond a fragmented analysis of neoliberalism and suggesting a new vocabulary to make sense of neoliberal India. 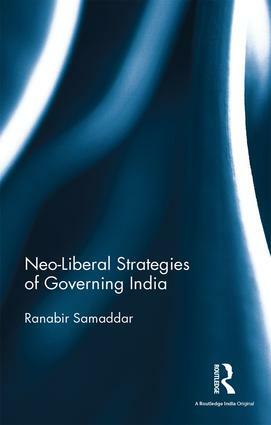 As a well-researched volume, rich in content, it offers a nuanced narrative of regulation in neoliberal India covering both macro and micro aspects." Ranabir Samaddar is the Distinguished Chair in Migration and Forced Migration Studies at Calcutta Research Group, India. Among foremost critical theorists, he has worked extensively on issues of forced migration, dialogue, nationalism and post-colonial statehood in South Asia, and new regimes of technological restructuring and labour control. His significant interventions on justice, rights, peace, nation-state and critical post-colonial thought include The Politics of Dialogue (2004), The Materiality of Politics (2007), and The Emergence of the Political Subject (2009). His co-authored work Beyond Kolkata: Rajarhat and the Dystopia of Urban Imagination (2013) examines new town and accumulation in the context of urban postcolonial capitalism. His co-edited volumes include Political Transition and Development Imperatives in India (2012), New Subjects and New Governance in India (2012) and Conflict, Power, and the Landscape of Constitutionalism (2008).